Who doesn’t need a little more positivity in their life? 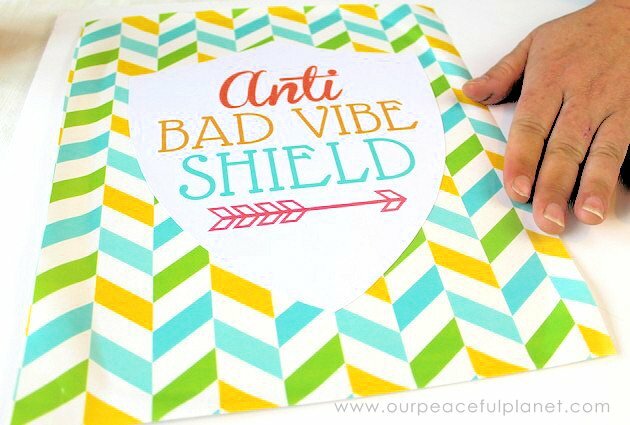 Surround yourself in good energy with our anti bad vibe shield! 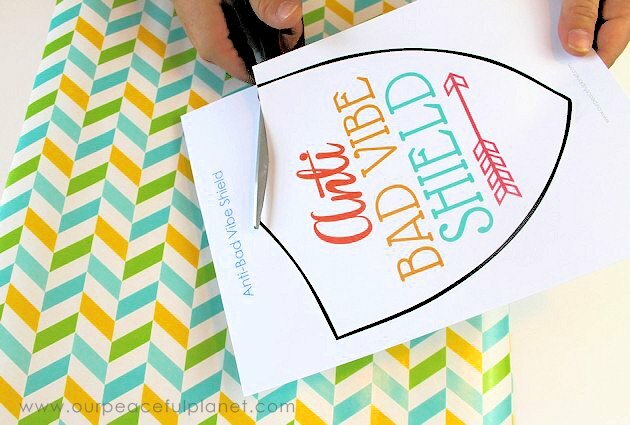 Customize with your favorite colors and patterns to create a one of a kind work of art in just 5 minutes! 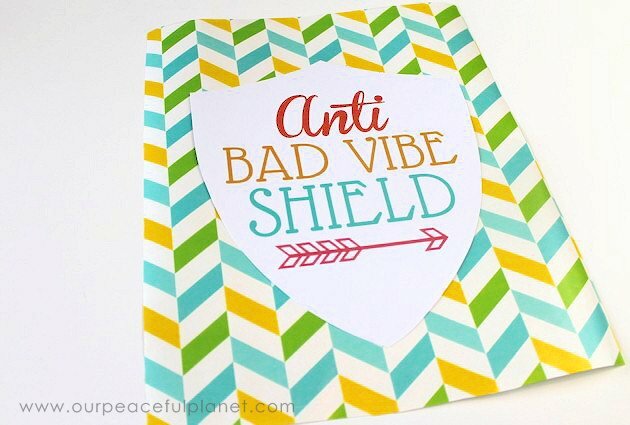 A great way to add a little flair to your decor while sending a positive message, this lightweight construction hangs anywhere to keep the negativity away. Don’t forget to check out our multiple FREE downloads below for different color schemes. 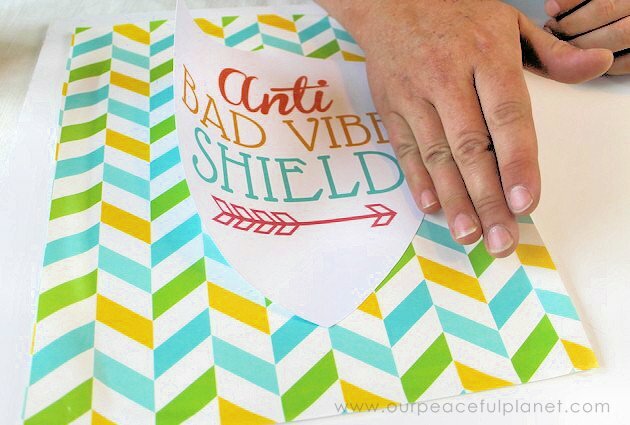 If you would like to wear your positive good vibes check out our Good Vibe Necklace made with shrinky dinks! Print the download of choice and cut just inside the black outline. 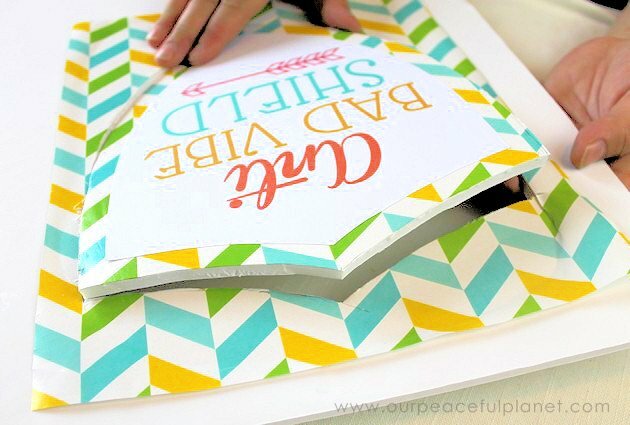 Cut the scrapbook paper or gift wrap paper of your choice. When the downloaded cutout is placed on the paper, it should have at least an inch of space all around the cutout. 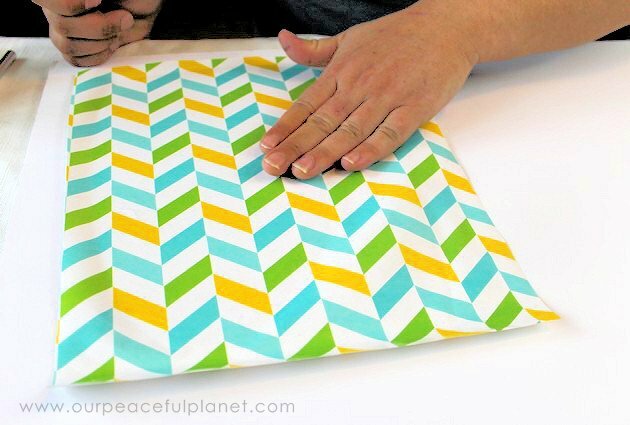 Using a glue stick or spray glue, cover the back of the scrapbook/wrapping paper completely. 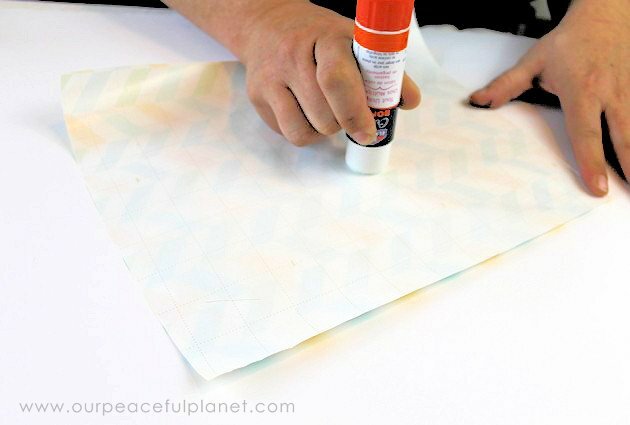 Lay the sticky side of the paper onto a sheet of foam board and smooth out any creases. 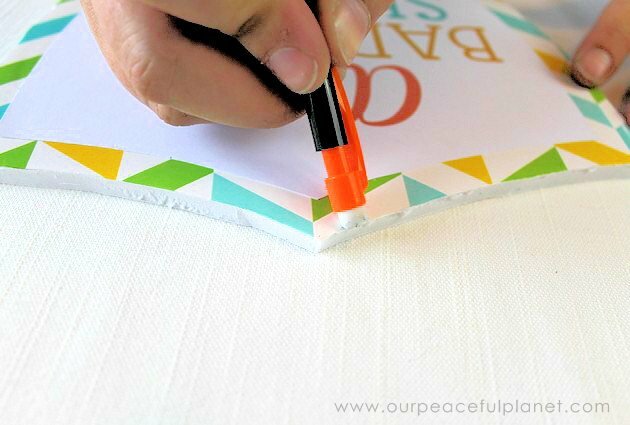 Cover the back of the download cutout with a glue stick or spray glue. 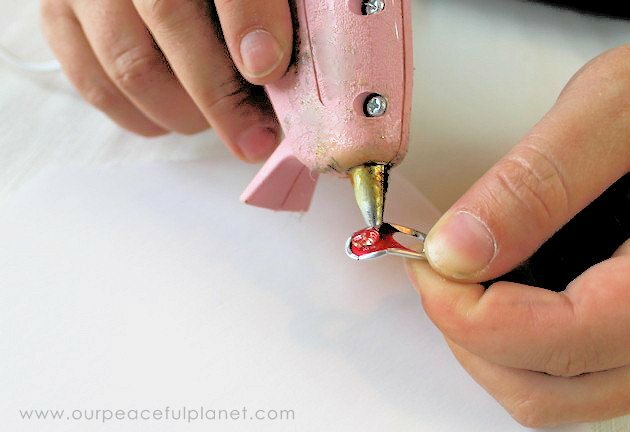 Apply to the center of the previous sheet of paper, smoothing as you go. Using a ruler and pencil, measure 1/2 an inch around the downloaded cutout. When complete, there should be a 1/2 inch “frame” surrounding the center image. 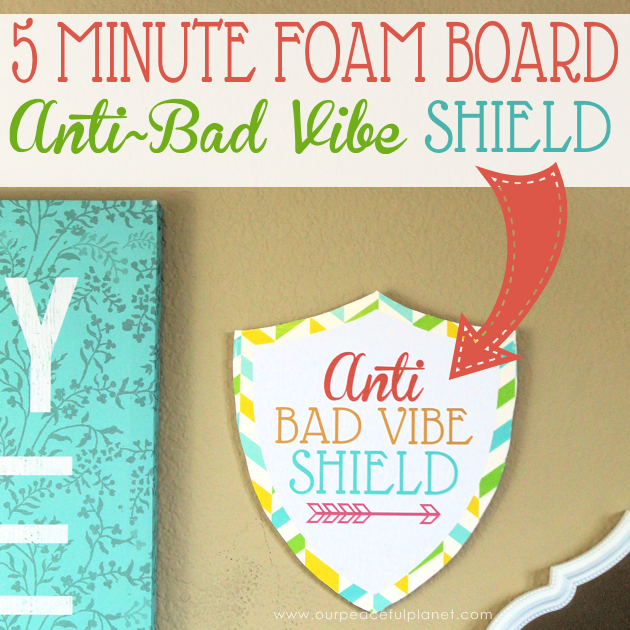 Using an X-acto knife, place the foam board onto a cutting board and cut along the pencil line. 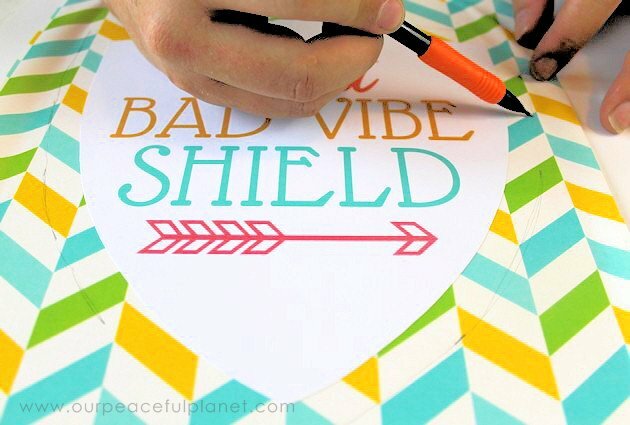 When complete, gently pop the shield out. 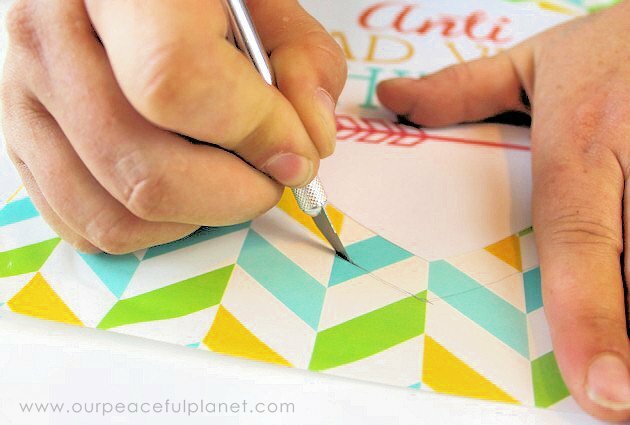 If any pencil lines can still be seen, gently erase, being careful not to pull up the paper. 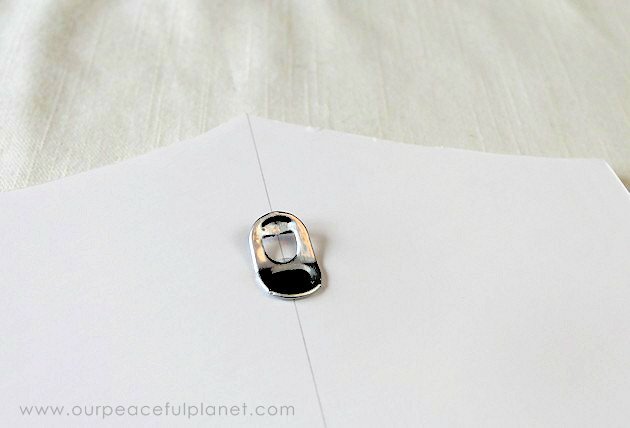 Slightly bend the soda pull tab. It is common for the edges of the tab to break, however, the remaining aluminum will still hold the tab together. 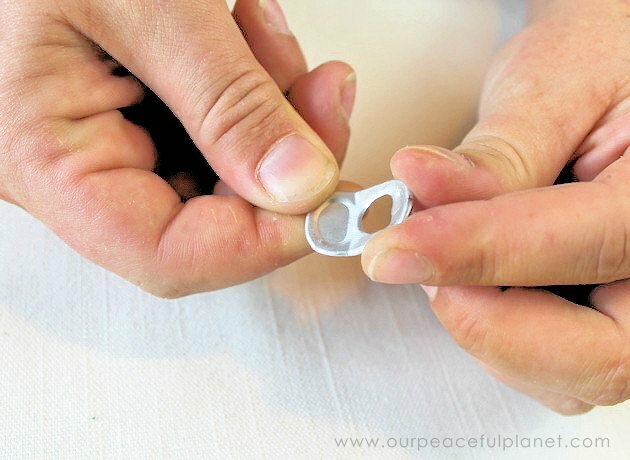 Place a small amount of hot glue onto the bottom (solid) portion of the tab. 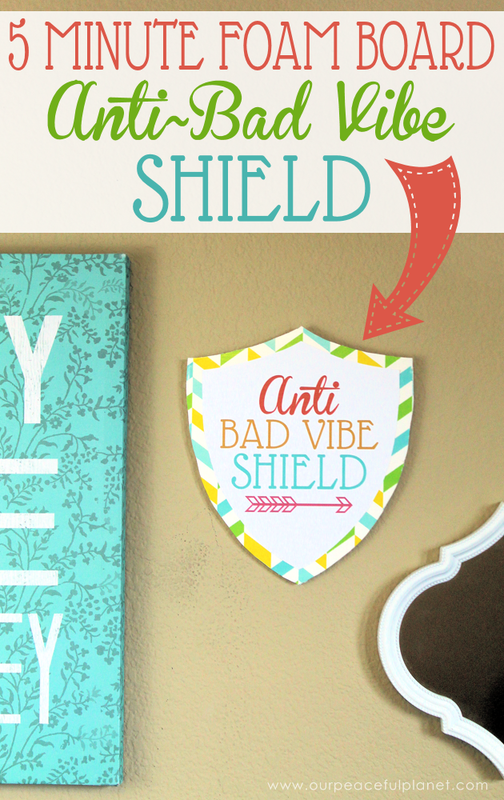 Adhere to the upper center of the shield. 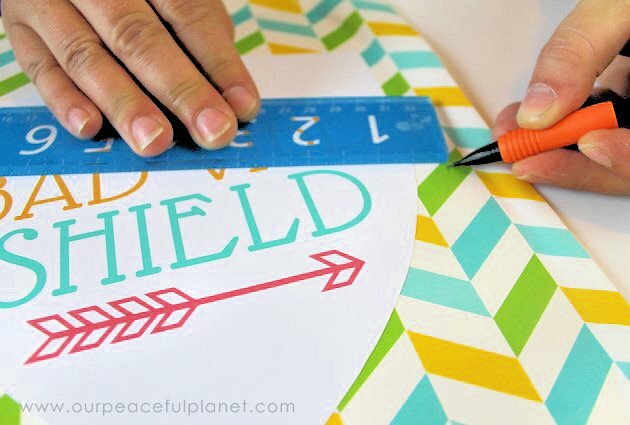 To be sure the tab is centered, use a ruler to draw a line down the center of the back of the shield. 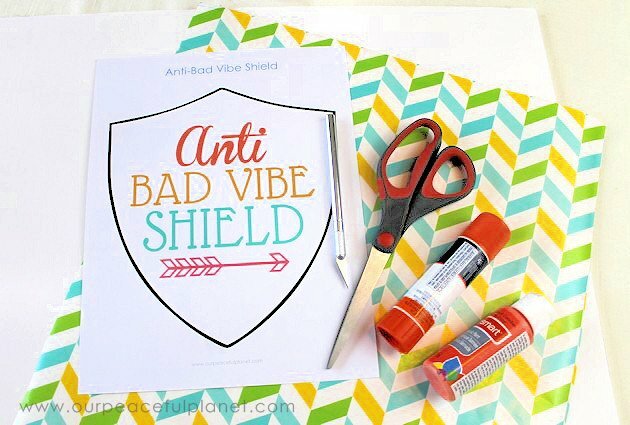 Your Anti Bad Vibe Shield will definitely make a statement!